The church is a group of Christians (those partaking in the New Covenant with God by believing in Jesus Christ) who, together, identify themselves and others as followers of Jesus through regularly gathering in His name, preaching the Gospel, and celebrating the ordinances. 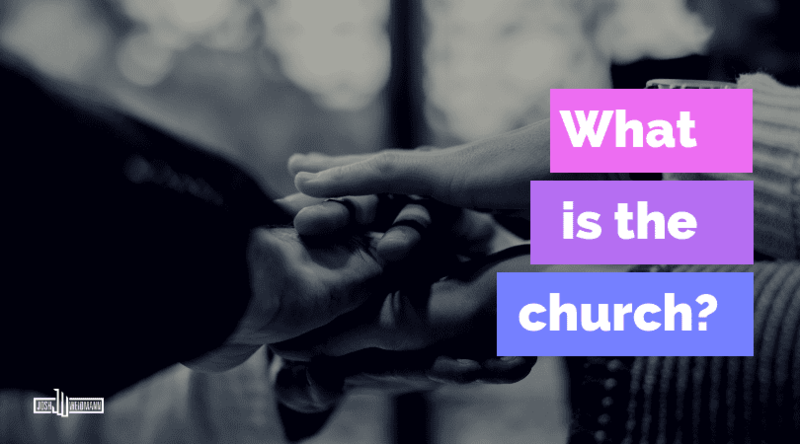 While there is a global Church, united in belief and atoned for by the blood of Christ, there are local expressions of the Church in communities throughout all the nations. The local church is the focal point for displaying God’s glory to the surrounding people group. It reflects the character of God. It is God and the Gospel of Jesus Christ that produces the church, and it is the church that then protects and promotes the Gospel. For those in the local church, there is a relationship between the message of the Gospel and the life of the church. The message of Jesus Christ gives life to the church, which in turn calls for a faithful dedication to protect, display, give credibility to, and argue for the message of Christ. The church is portraying a future hope to the world that can only be found in Christ. We see it as our mission to go and tell the world of this hope, not just wait for them to come to us. We have a narrow focus of calling and making disciples, while maintaining a broad mindset of fulfilling the Great Commission and teaching all that entails in being a disciple of Christ. The church has a corporate function to be in unity with one another, promoting and preserving the body of peace (Ephesians 4:3). This is also lived out in the life of each believer as they are unified in their message, efforts, and convictions. The most urgent task of the church (individual and corporate) is to make disciples, because this addresses the world’s most urgent problem, theologically. Making disciples is a crucial responsibility of the church, because the most important part of a person is their view of God. God does not call us to transform the world, rather He calls us to live like a transformed peoplein the world. As new creations in Christ, we bear His image as redeemed people who are living right with God. Therefore, the church’s mission is to be the representation of God on earth. We image the glory of God by listening and acting upon His Word. The local church accomplishes its created purpose when we display the wise, holy, and loving image of God for all the world to see. The reforming marks of the church are important for equipping individual members to live in accordance with God’s will, and also for the church to fulfill the mandates given by God for the corporate body of believers. The preaching of God’s Word (Romans 10:14–17), baptism, and the Lord’s Supper are vital elements for a church to be the Church. Without any of these, the group is just a gathering of believers; they are not the church. Yet, when a group of believers choose to have God’s Word preached and faithfully adhere to it by partaking in the acts of baptizing and sharing communion together, that group is now a church. Baptism and the Lord’s Supper serve as a means of protecting the Gospel and marking individuals as Christ’s own, no longer belonging to the world. The ordinances of baptism and communion bring individual believers into the fold of God’s flock by making them united as one (1 Corinthians 10:16–17). Baptism is the initial public pledge to Christ and His people, while partaking in the Lord’s Supper is the believer’s ongoing oath to be committed to Christ and the church. It is impossible for the church to exist without the preaching of God’s Word and the ordinances. It is also impossible for a Christian to experience true life in Christ without maintaining a connection to the church.